Buick has all but confirmed it will bring a wagon variant of the next Regal to the North American market when it shows face later this year. And, since General Motors’ European subsidiary, Opel, has already shown off the 2018 Insignia Grand Sport, we have an idea of what to expect for an all-new Buick wagon. Except, this wagon will certainly not be marketed as a “station wagon.” That’s a dirty word to Americans, conjuring thoughts of bloated people movers with faux wood paneling. Instead, Buick will likely call this the 2018 Regal TourX. Our digital artisan, RM Design, has rendered what the 2018 Buick Regal TourX could look like when it does officially show its proportions off to the world, borrowing heavily from Opel, of course. For reference, we’ve also included our rendering of the 2018 Regal sedan below. Buick will likely differentiate the 2018 Regal TourX with standard all-wheel drive and a raised ride height to keep those aforementioned station wagon thoughts at bay. Think Volkswagen Golf Alltrack. 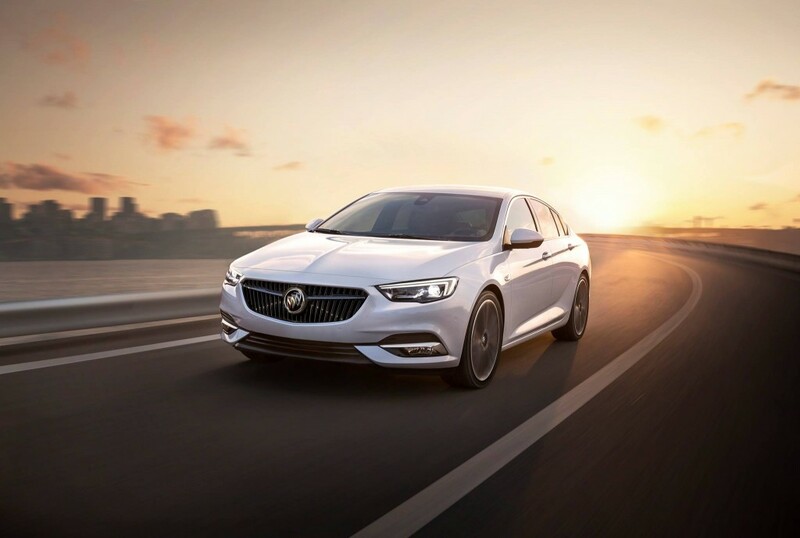 The same fluid and sharp shapes gracing the Insignia Grand Sport sedan will no doubt be present with the Regal TourX, though conservative amounts of plastic body cladding will portray a more off-road appearance. Remember, this is not a station wagon. We’re expecting to see the 2018 Buick Regal debut at the 2017 New York International Auto Show, but we think the TourX will hold off for a tad longer. In the meantime, you can read everything we know about the upcoming Regal and tell us what you think in the comment section below. Didn’t Reuss promise a wagon for USA awhile ago? Is this the one? Why can’t we get a wagon without plastic body cladding???! While logic would say this rendered Buick Regal Tourx makes a lot of sense and like Cadillac CTS Sports Wagon, it probably wouldn’t cost very much for Buick to build this car; but the sad truth is that Americans don’t like station wagons which means sales for the vehicle will be poor although one would think such a car would be popular in China and Europe. This could be a Buick’s version of the recently departed Toyota Venza. If done right it could the proportions of a crossover but lower like a wagon. It would allow Buick to occupy the ‘white space’ that they like to do and the costs to bring it to market would be relatively low since it is based on the Insignia wagon. Volume does not have to be high to be successful/profitable, just look at the Cascada. Even in wagon/crossover form Buick will sell more that they have been selling of the Cascada if no other reason than it would be a more practical wagon/crossover variant versus a convertible. Yes buick will get regal tourx. I am sorry but I just don’t associate “REGAL” with “station wagon/crossover”!! The name, “VERANO CROSSOVER” seems to have more appeal, given the history associated with “REGAL/GRAND NATIONAL”….. The Regal came in a wagon bodystyle back in the ’80’s (’82-’83), around the same time they were building the Grand National. The Regal nameplate has way more appeal than anything with a Verano badge could. I drive a 2016 Outback Limited which is the best vehicle I’ve owned. The TourX looks like something I will consider this fall plus Buick has a larger dealer network.